© N.ever A.gain M.i. 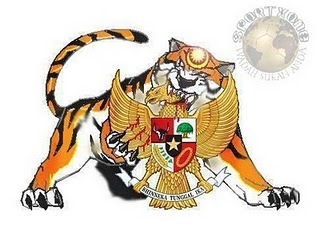 Amor™: Harimau Malaya Mengaum!!!! It's a bit late but i would like to say CONGRATULATIONS to Harimau Malaya Squad for winning the AFF Suzuki Cup which was previously also known as Tiger Cup.. Coincidence perhaps? Me & mum screamed like mad people while watching both legs of the match. but it definitely was worth it. All of you would probably read the match analysis, so i wouldn't need to touch that. Unlike the Indonesians, we accepted defeat in the first game as professionals, so i would advice them to accept it like gentlemen also. The issue about lasers & such, are childish as both squads suffered the same issue at both stadiums. Plus, the condition of the pitch was not worthy to be at International level. It was more likely fit for a "kampung" match. No offence, but most of us saw how bad the pitch was. At the end of the day, the best team won. We won, that's a fact. But, i would like to sum the match with a favourite quote form Jose Mourinho, The Special One..
"I DON'T CARE, WE WIN"
but one thing i would disagree is the Man of The Match award, it should have definitely been awarded to our Goalkeeper, Khairul Fahmi. He was outstanding! Onslaught after onslaught, he kept his cool.. and to top it off, he's only 21years old!!! As most of the team!! Again, no words would be enough to praise to describe the young & triumphant team! !